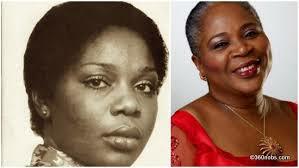 Onyeka Onwenu has spent 65 years on this earth! Born on the 31st of January, 1952, Onyeka is a Nigerian singer, songwriter, actress, journalist, politician, and X Factor series judge. She is the youngest daughter of the Nigerian educationist and politician D.K Onwenu. Dubbed the “Elegant Stallion” by the Nigerian press, she is a former chairperson of the Imo State Council for Arts and Culture, and currently the Executive Director/chief executive officer of the National Centre for Women Development. She’s respected as a living legend. However, apart from the fact that she sang “One Love” and “You and I will live as one,” what else do you know about her. 4. She was attached to the NTA during her NYSC program. During her time there, she wrote and presented an epic documentary for NTA/BBC titled “Nigeria, A Squandering of Riches”. The documentary garnered a lot of positive reviews especially from the international community.